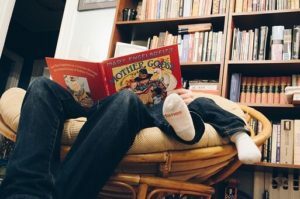 We read to our kids out of books like Berenstain Bears, Dr. Seuss and Thomas the Tank Engine, but do we regularly open God’s Word to our children? We may have multiple Bibles in our homes, but are we using them? A well-known Christian psychologist and author was vulnerably sharing how he used to set up an overhead projector at home to do lengthy Bible studies with his young children. He stopped when he realized he was on the devil’s side! His academic approach was turning his boys off to God. I think the best way to equip our families spiritually is to make the Bible and prayer a way of life. Be consistent, but don’t try so hard that it becomes mechanical and binding, bringing death instead of life. Bible time around the breakfast table with Mom reading Proverbs aloud from The Living Bible and inviting input and practical application from two, three, and four-year olds. Bible time using the One-Year Bible for Kids or the adult One-Year Bible, keeping sticker charts and celebrating the year’s grand achievement with a dinner party and special friends. Bible time reading mountains of colorful and exciting Bible stories for children. Day after day after day of cozy time, snuggling with Mommy or Daddy before naptime, bedtime, or anytime. Private Bible time one-on-one with Mom when one child just seemed to be in a season when he needed more personal direction and attention. Find what fits your brood, your mood, and your season. Formal Bible studies with accompanying manuals weren’t my style, but they may be yours. Morning or after lunch have been our chunky Bible reading times, but you might be nocturnal. The vital ingredient is consistency. Over the years our boys also enjoyed lots of supplemental Bible stuff at bedtime. I’ve found a variety of different, fun, and humorous tapes of Bible stories to play after tucking them in. I’ve added to this audios with the Word being read aloud, as well as sung in worship. Those minutes before your children drift into sleep are a great time for capturing their attention with God’s Word. Ponder this: we can love and feed and clothe and nurture our children; we can do a lot, but we can’t humanely give them everything they need. The Message version of Matthew 4:4 reminds us that It takes more than bread to stay alive. It takes a steady stream of words from God’s mouth. The seeds we plant and nurture in our gardens this spring will surely sprout and emerge as the mature plants the DNA in that seed determine. The exact same goes for the spiritual seeds we plant in our children! All the Bible reading and sharing and living builds strength of fiber in our children’s souls that will bear fruit for a lifetime. The scriptures that have been implanted will revisit them throughout their lifetimes, encouraging, warning, strengthening them. You may feel ‘unqualified’ but there is no such thing in this department! Just humble yourself and begin! Reading children’s Bible books to your kids and grands is no different than reading a Mother Goose story book except that with the Bible, you get lasting dividends. I’ve been deeply impacted by the simple stories from these books and my faith has been strengthened as I’ve read to my own kids. Thank you for reading, I’m truly honored. 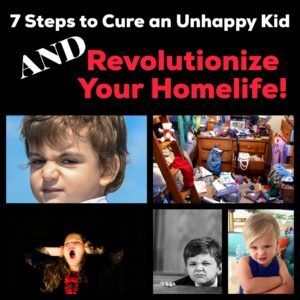 If you’d like to read more, subscribe for my updates and grab my spring freebie, 7 Steps to Cure an Unhappy Kid and Revolutionize Your Home Life by clicking HERE.